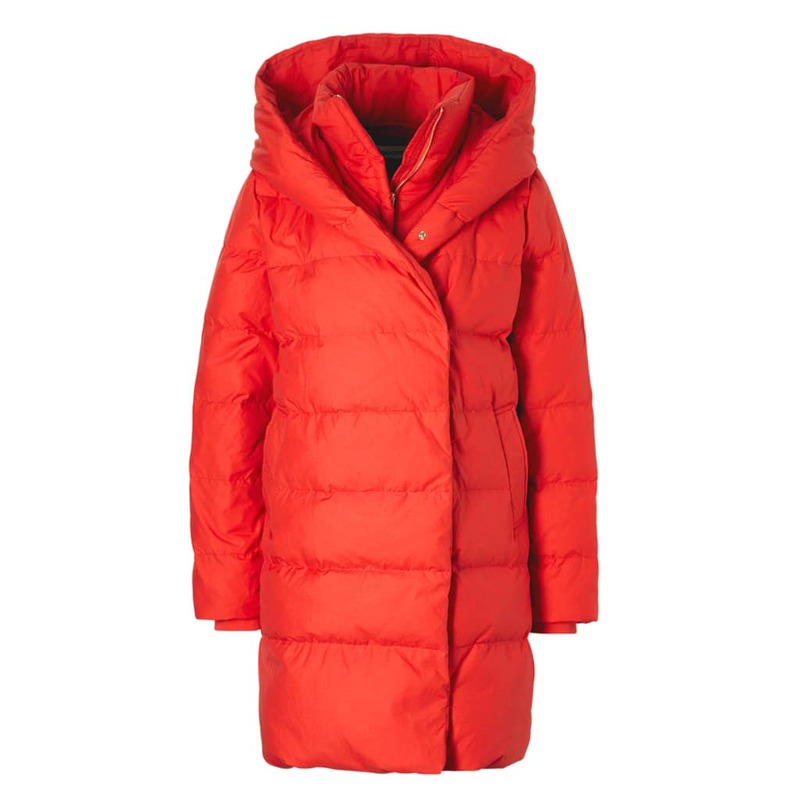 Oversized A-line down puffer coat in fierce red, with a big hood by Spoom. The front of the coat consists of two layers for extra warmth; the outer body part is closed by snap buttons, the inner part by a zipper. Gold coloured accessories, rib cuffs at the sleeves.